Navigation gestures are all the rage these days. Everyone has them: Apple, OnePlus, Xiaomi, Huawei, and now Google in Android P. Everyone does them differently, too. 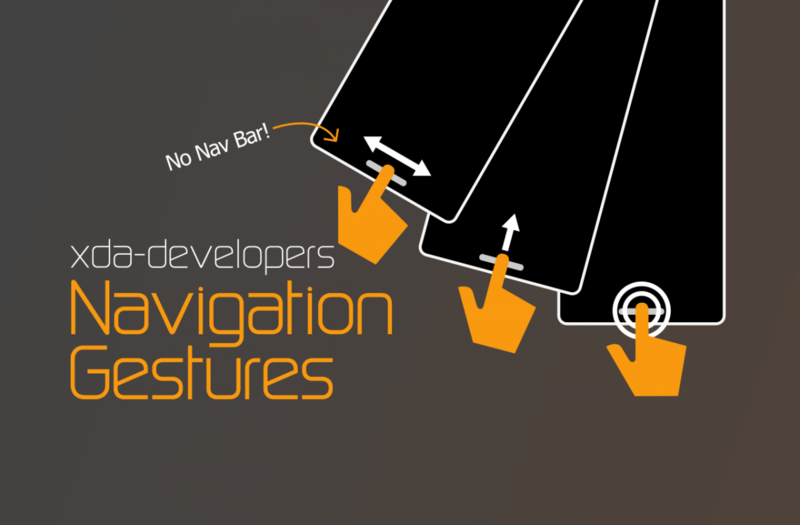 We thought we would offer our own take on gesture navigation with the Navigation Gestures app, built in-house at XDA. 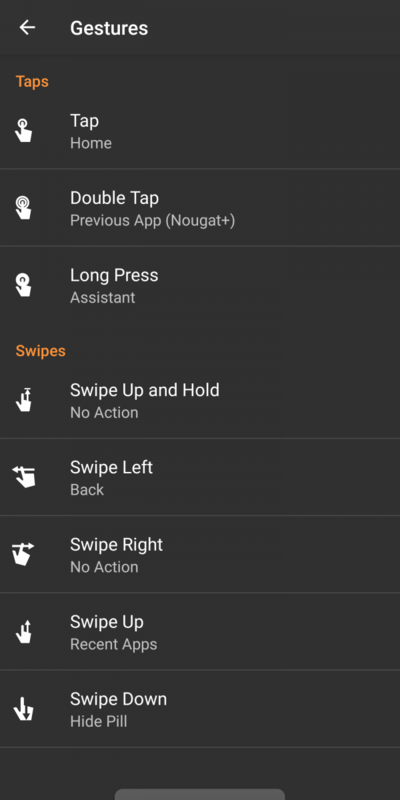 The app brings customizable gesture control to any Android device for those users who are looking to get into gesture navigation or are looking for an alternative to existing options. Unlike other, similar apps on the Play Store, though, our app can do something that no other app can: completely hide the stock software navigation bar, lending to a truly full-screen experience which is especially nice on phones with tall displays. The Android user interface has changed significantly over the years, but one thing has remained relatively the same: the way we navigate it. On most Android devices, there’s a physical or software back, home, and multitasking button. Android device manufacturers have experimented with alternative ways of navigating the UI. Huawei, for instance, offers fingerprint gestures, and Xiaomi (as well as Huawei) offers a floating dock with quick access to buttons. But it wasn’t until the Apple iPhone X did away with the iconic iPhone home button in favor of full navigation gestures that Android device makers have started to fully embrace gesture navigation. If you own an Android device without gesture navigation controls, then check out our Navigation Gestures app for an intuitive yet highly customizable experience. 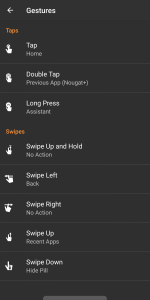 Navigation Gestures by XDA does not require root access, meaning you can use our app on virtually any Android device. Navigation Gestures by XDA doesn’t use Immersive Mode to hide the navigation bar, which means an accidental swipe near the bottom won’t interfere with our gesture controls. 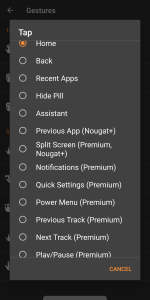 Navigation Gestures by XDA doesn’t force fullscreen mode. This means that keyboard access won’t be broken unlike other solutions. I’m sure you’re wondering by now how our app is able to do something that other apps can’t do. We are taking advantage of an API that is only accessible by granting a special permission to our application. This permission can only be granted from a computer, which means you’ll have to physically plug in your device to a PC to set up our app. It’s a rather simple process, fortunately, and we even have a video walkthrough available for any beginners. Since our gesture control bar is replacing the stock navigation bar, there had better be an alternative to all of the original buttons! Instead of three buttons, there are many ways you can interact with the gesture control bar, including swiping in all four cardinal directions, single tap, double tap, long press, and a swipe up and hold gesture. 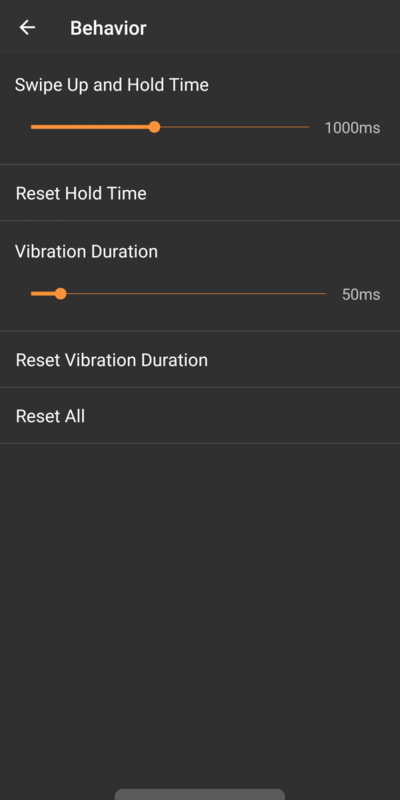 Each of these gestures has a range of customizable actions. 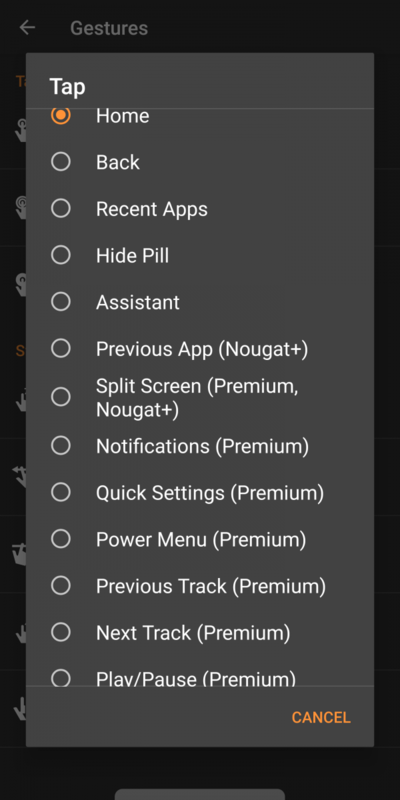 We offer standard navigation actions for each gesture in the free version, but we also offer additional actions such as pulling down the notification shade, opening the power menu, skipping to the previous/next track, and more to come if you purchase the premium version. * The media actions use standard Android media playback control APIs. While most media apps will recognize these actions, not all of them will. We realize that some of you may have trouble with the default positioning and size of the navigation gesture bar. We also realize that the threshold for the swipe up and hold gesture may be too long or too short for some. That’s why we also allow these features to be customized for free. Is it possible to change the multitasking screen or add the cool new animations from Android P? Unfortunately, no. Without root access, we can’t make those kinds of changes. Will this app work on Android P? Currently, no. We have a potential workaround but we are waiting for the final release of Android P to make sure it’ll still work. Is it possible to get rid of the pill bar and instead swipe up from the bottom? Right now, we are focusing on a gesture control experience that people are more familiar with. We may consider exploring other options depending on user feedback. Are there really no downsides to the way you’re hiding the navigation bar? There is one quirk with the UI, but it shouldn’t significantly alter your experience. Bits of system UI dialogs that appear near the bottom of the screen are cut off, but should still be readable and interactable. What about interference with the keyboard? 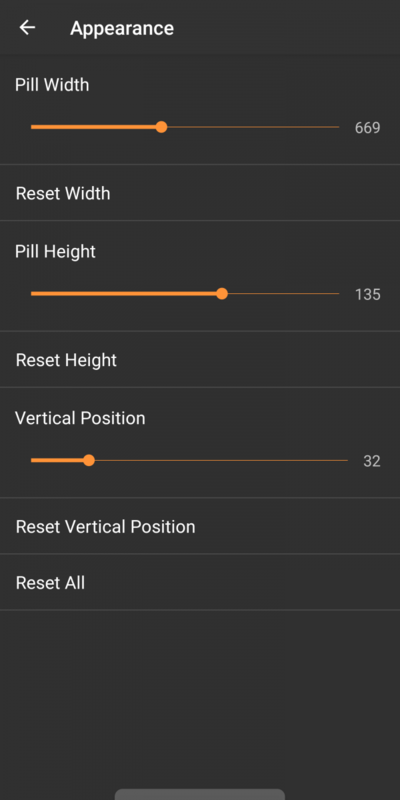 Our app automatically detects the presence of a keyboard and shifts the pill bar up to avoid interfering with keyboard presses. Why do the navigation controls sometimes stop working? Different devices have different ways of dealing with background services. 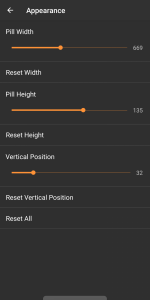 Our app uses an Accessibility Service to simulate button presses. If the system kills our Accessibility Service, then the gesture controls will no longer work. We are exploring ways to make sure the Accessibility Service is kept alive so you aren’t left without a way to navigate. If this does happen, we offer a quick setting tile (Android Nougat+) to let you quickly toggle off Navigation Gestures and bring back the stock navigation bar. Feedback is very important for us. While we are blessed to have access to a large team that owns a wide variety of devices from several different device manufacturers, it’s difficult for us to ensure a bug-free experience on every device. If you are having trouble with our app, don’t hesitate to email us or post in the official XDA support thread. We plan on adding additional features in coming releases to give users more options for swipe gestures and actions. We hope to provide an experience that can replace the navigation bar on your device. If you feel that we should add a feature or two to make that happen, then please reach out to us with your ideas!